So you want to lose weight, but you keep shoveling your face with calorie-dense foods and you never feel full. Luckily, there’s a ton of tasty foods that fill you up without being quite as calorie dense as some mac ‘n’ cheese. Here are some foods that will fill you up without pushing you over your daily calorie limit or help you keep your appetite at bay to assist you in your mission to become even more godlike. 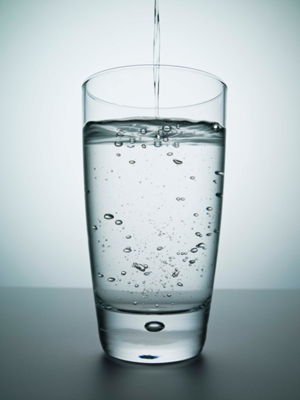 The number one super-food for filling you up the most with the least calories isn’t even a foodit’s water. A lot of the time when we think we’re hungry, we’re actually thirsty, so drink some ice cold water instead. Cold water will also rev up your metabolism by using energy to warm it up. Green tea is another filling liquid that ups the ante by also mildly increasing your metabolism when taken daily, as well as possessing fat-burning properties. But drinking water or green tea will only get you so far when you’re feeling a full belly contraction from a hunger pang. 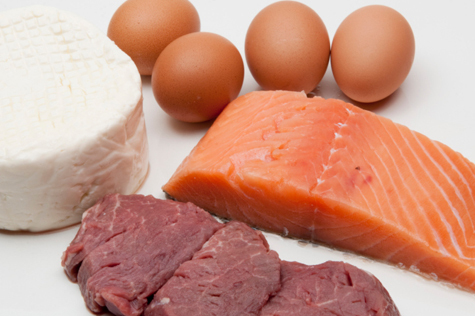 The number one nutrient for making you feel full, or sated, is protein. The FDA classifies a food as high protein if it contains more than 20% of your daily recommended value of protein, which is about 56g for an adult male. 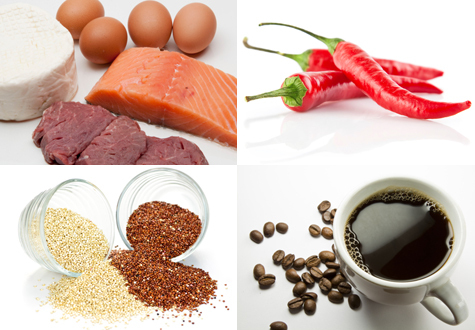 Protein is abundant in all sorts of foods that men naturally gravitate towards, starting with eggs. One large egg packs about 6g of protein and only 75 calories. Lean meats, including game meats like venison (about 26g of protein for every 4 oz), along with white fish like tilapia (about 22g of protein per filet) and snapper are also great. The obvious caveat with all meats of course, is that their calorie counts can quickly head skyward depending on how they’re cooked, so stay away from dishes that add oil and butter in their prep. But meat is something that most men already eat plenty ofif not too muchso where else can we find solid sources of protein? Quinoa (pronounced keen-wah) is a 4,000 year old South American pseudocereal (not a true grain) that’s bulging with 12%-18% of complete, balanced proteinunique in the plant world. Quinoa is low in fat, gluten-free and can be used in place of rice or cous cous, or any carb really. 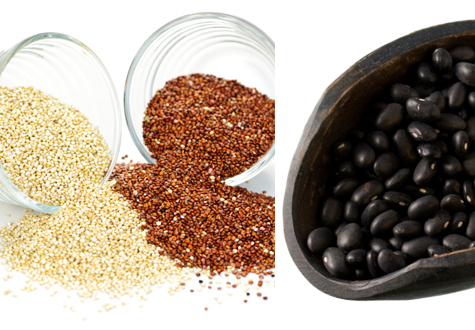 Quinoa goes particularly well with another South American staple packed full of protein, the humble black bean. Black beans have about 15g of protein per cup while being low in carbs, so if you want a great tasting, super-healthy and filling meal that combines the two, check out this recipe for quinoa and black beans, and add a little soy chorizo and a can of diced tomatoes with chiles for a cheap, healthy, flavor extravaganza that you can save and reheat during the week. Sticking with beans but heading east, the edamame or soy bean served in Japanese restaurants packs 12% protein and very low amounts of fat and carbohydrate, while being high in dietary fiber. You can buy dried edamame from health shops for a great between-meals snack, and remember that most beans are high in fiber and protein while being low in calories. Dairy is another excellent source of protein, but be carefulwhile cheese is delicious and high in protein, it’s also usually really high in bad-fat calories. So are there any low-fat, low calorie dairy products? 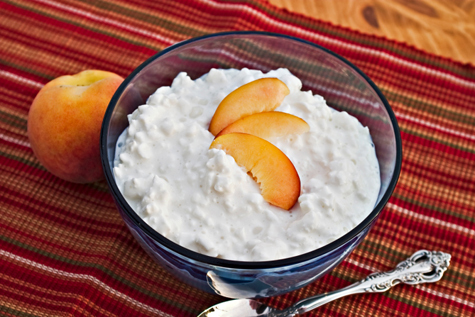 A cup of non-fat cottage cheese has 15g of protein and only 104 calories, while Greek yogurt has twice as much protein as normal yogurtup to 20g of protein per cup, half the sugar and a similar amount of calories as the normal stuff. Calorie-containing liquids are usually less filling than solid foods, but soups are the exception, according to research from Purdue University. 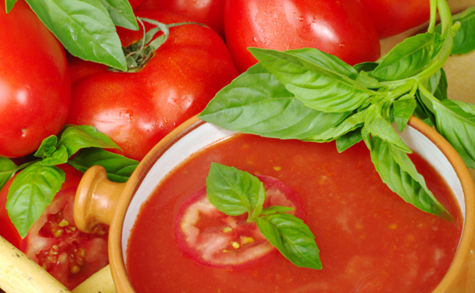 A Purdue study found that having low-calorie soups (broth- and tomato-based ones) before meals may reduce hunger and increase feelings of fullness. There’s also a type of food that will goose your metabolism so that you burn more calories with less effort, at least for a few hours after you eat it. What is this miracle of nutrition? Spicy food. 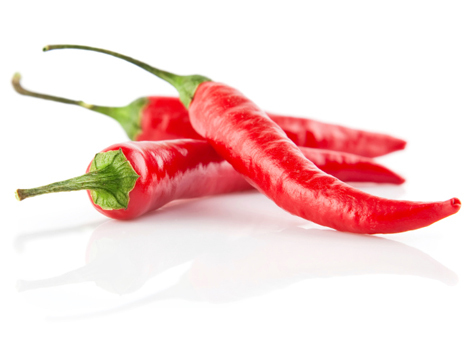 Capsaicinthe chemical that gives chili peppers their heatincreases caloric expenditure for several hours. Capsaicin works by increasing levels of the “fight-or-flight” hormone epinephrine (adrenaline), which speeds fat use and increases metabolism, and may also be a mild appetite suppressant. Habanero, cayenne and jalapeno peppers are said to work best, while black pepper and ginger are said to have similar effects. 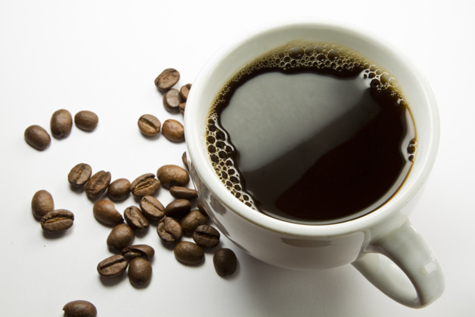 Caffeine is also a mild, short-term appetite suppressant, and may stimulate thermogenesisone way your body generates heat and energy from digesting food. However, there’s insufficient evidence to suggest long term use aids weight loss.